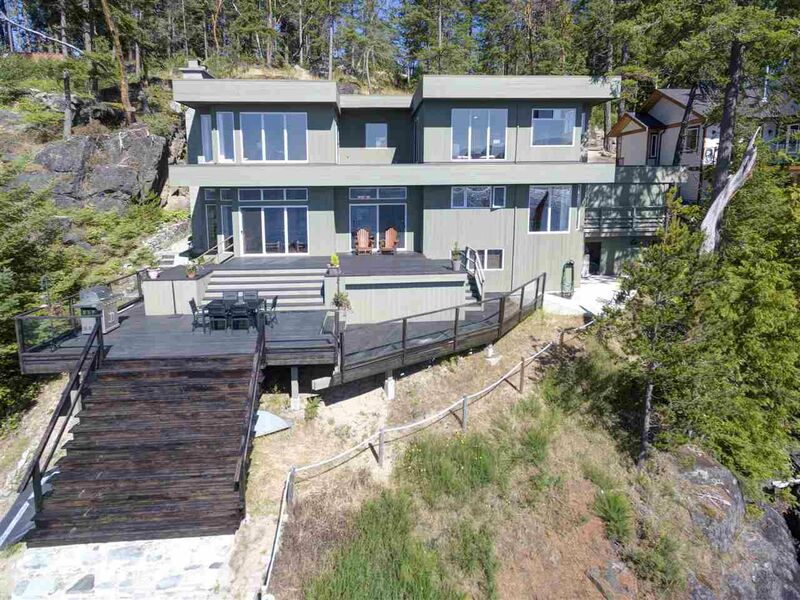 Rare Low Bank Waterfront home that sits on a point with view of the entire coastline from Pender Harbour to Secret Cove, across to Thormanby Island and west to Nanaimo/Parksville. This 2 level plus basement home boasts large living area, upstairs the master suite and amazing full window den with fireplace, both accessing roof top level. The home is situated below the main road so very private from the base of Warnock Road. Walk the short set of stairs to the rocky outcropping where you can easily launch your kayaks. Around the bay, a short swim away, are 2 rare sandy beaches, one being the well known Baker's Beach. Second building site for full sized dwelling on upper hooked lot. Community sewer. Bare-land strata fee of $125 per month.